The color ramp changes from green to red according to the score entered, which runs from 0 to 10 in this case. We could sit down and pretend to be graphic artists and create a color ramp from scratch, or we can use one of the handy websites which creates beautiful color ramps for us! 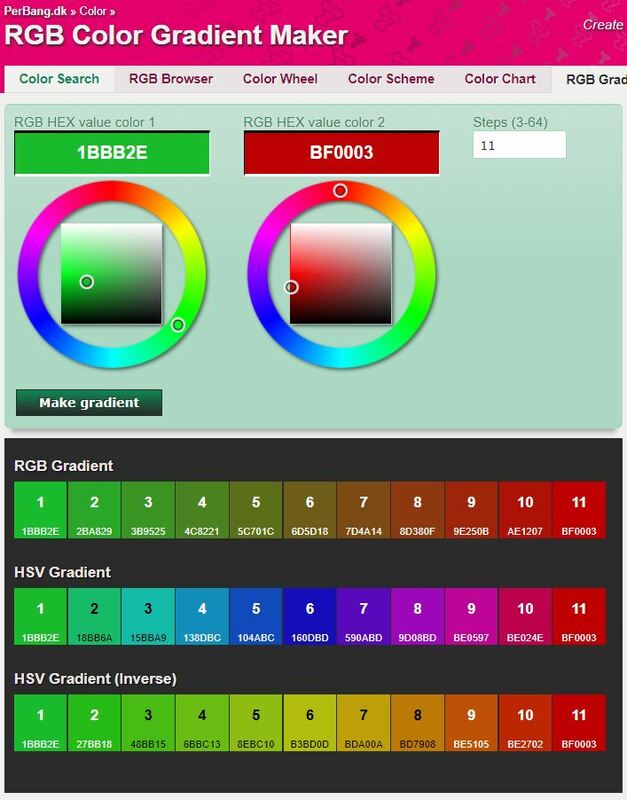 Let's head to RGB Gradient Generator or any RGB gradient generator of your choosing. 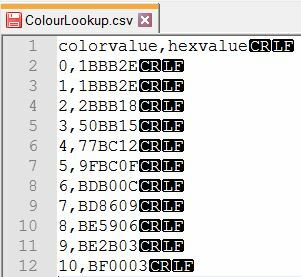 In the CSV file I simply Copied & Pasted each character 10 times to make two strings that are each 10 characters long. Item 1 in the CSV then represents the filled in section of the progress bar (e.g. 10/10 ■■■■■■■■■■) and Item 2 represents the "empty" part of the progress bar (e.g 0/10 □□□□□□□□□□). Now we can color our progress bar and we can visually differentiate between the "filled" in part and the "empty" part of the progress bar by using our Unicode character pair. All that is left is to cut our strings to size (according to the score e.g. 1/10) and combine and color it according to the color ramp already calculated. this is very nice, though I wonder how to tweak it for a mulit-level relevant questions. Re: Has anyone ventured into providing a progress or status bar for long form surveys in Survey123?